The Edison Hotel is a wonderful base for a visitor to New York; whether you visit often or you’re planning you first ever stay in the Big Apple, you’re sure to be dazzled by the proximity to some of the city’s main attractions. With a lobby which is both grand and welcoming, you’ll feel right at home as soon as you step into The Edison. Checking in at reception is quick and easy – and staff are happy to answer any questions you have about the hotel and the city. Enjoy the plush seating and quirky chandeliers which illustrate the hotel’s art deco history. The biggest draw for staying at the Edison has got to be the location. Situated on 47th Street, it’s right in the middle of Theatre District and just a step, hop and jump away from Times Square. There are two entrances, so whether you’re coming from uptown or downtown, it’s easy to head back to base, and walking to Macy’s, Central Park or MoMA is easy. The hotel also offers guests valet parking if you choose to rent a car. 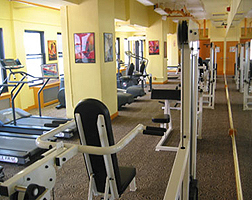 There is also a fitness centre, a business centre and concierge service available if desired.